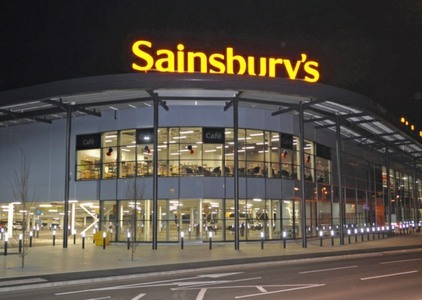 Fourteen of us visited the Sainsbury’s store in January. We were greeted by Vicki, PR Ambassador and had a talk by Phil, Store Manager and Sam H, Fresh Foods Manager. We were all given copies of the children’s book featured in their Christmas advertisement. During a question and answer session we learnt that that there is no post box because it is too expensive at £1,200 pa. Most stock filling is done during the early morning, evening and night time so there are not many staff around during the day to deal with queries. There are 22,000 - 24,000 customers per week with a turnover of £500,000 (Hedge End has a turnover of £1.5m). The cost of an average trolley is £26. The first Easter products were delivered to store on Christmas Eve last year. In August Christmas deliveries begin. Whilst government legislation means they can no longer donate expired goods to charity as previously they have given goods to the value of £2,000 to the Food Bank in the last three months and are setting up a scheme whereby the Food Bank will receive unsold baked bread. There are deliveries to store every day, the largest being on Wednesdays. Milk is delivered to store at 6am each morning. We toured the warehouse with Sam H, walking through the online area, which makes over 300 deliveries per week. The area, opening up to the van parking bays, was full of plastic boxes which are filled for delivery. Many people don’t have goods delivered in bags now, otherwise they pay 40p. Sam B, Online Manager, told us that they’ve only been doing online shopping for five months. They make just over 130 deliveries per week with three vans but could cope with nine vans. They won’t deliver if the only person present at an address looks under 25 years. “Shoppers” (staff who pack the boxes for home delivery) work from 4.00am to 8.00am. As online shopping is growing he mentioned a “dark store” in London which only deals with online orders and doesn’t open to the public. We moved on past garage-sized cages with high value electrical goods and wines and spirits, fresh food chiller rooms, freezer rooms and a holding area for ambient goods. Large “rollers” (those tall trolleys) come straight off delivery lorries which the twilight team (starting at 6.00pm) sort into departments. A notice said that goods were not to be reduced in price before 5pm, which is worth noting if you want bargains. There is a huge clothing cage upstairs for clothes. Leaving the warehouse Sam H explained that in the bakery section bread is “finished” in stores and cakes, which come in frozen, are defrosted. Hovis and Kingsmill bread is delivered at 6.00am each morning. We finished the tour with tea, coffee and biscuits. It was such an enjoyable visit, all the staff making us feel so welcome, that we hope to visit another supermarket before too long.